Since we launched The Dissolve last July, one of the most persistent challenges we’ve faced is how to deal with Video On Demand—what to cover, when to cover, and how to cover it. This has meant sorting through the thicket of semi-major indies and marginalia, and a catch-as-catch-can assortment of VOD release strategies that include day-and-date (movies released simultaneously in theaters and VOD), day-before-date (VOD before theatrical), and VOD only. Every week, I feel like I’m part detective, part curator: Just finding out what’s coming out on VOD, much less who’s representing it, can be a hassle, even before dealing with the issue of what actually merits coverage. While the digital age has changed the entire movie industry dramatically, the rise of VOD has changed the indie business most acutely. Recently, Steven Spielberg and George Lucas held court at the USC School Of Cinematic Arts, where among their dire predictions—the implosion of the “tentpole” blockbuster paradigm, a theatrical experience more akin to Broadway shows or football games than multiplexes, brain implants—they talked about the migration of personal or niche-oriented movies to VOD. “What used to be the movie business, in which I include television and movies,” said Lucas, “will be Internet television.” For Hollywood, such a future is still several steps away; for indies, however, the future is now. It doesn’t take Lucas’ Kreskin routine to see that people are watching new movies at home—it just a couple of clicks on iTunes or Amazon. And yet we know nothing. Certain fundamental changes have happened in the independent market as a result of VOD. Moviegoers are changing their habits. Distributors are changing their release strategies. And to accommodate all parties, arthouses are changing their projection booths and their programming in order to survive. We can safely guess that these changes are profound and transformative, and that the indie business will continue to evolve (or devolve) at a breathless pace. We can guess these things, but we can’t really know them with any kind of precision, because they can’t be quantified. And that’s because the money generated by VOD rentals is almost never disclosed. Figuring out what’s successful or unsuccessful on VOD—or the overall viability of the format, period—is like being lost in a wilderness within a wilderness. And the powers-that-be aren’t passing out flashlights. I’m generally not much of a box-office watcher, because I have no stake in a given movie’s financial performance, other than wanting to see more (or less) of its kind in the future. But lately I’ve been keeping an eye on independent genre films, in part because nasty little thrillers, noirs, and horror films are my lifeblood, and in part because they’ve always struggled against more genteel arthouse fare. Too small for the multiplex, too rude for the older crowd that truly drives arthouse box office, these films strike me as the first residents of the “Internet TV” universe Lucas describes, and what incomplete information we do have seems to confirm it. 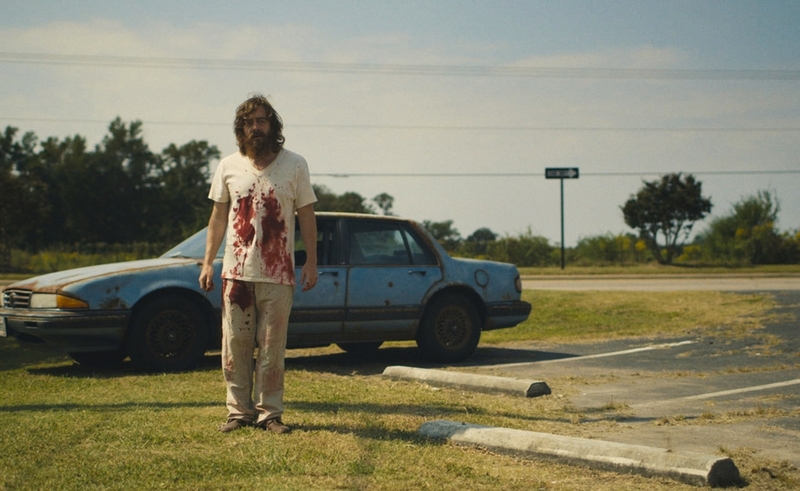 As the canary in the coal mine, I looked to Jeremy Saulnier’s terrific thriller Blue Ruin, which won acclaim from many, including myself, for recalling the Coens brothers’ Blood Simple in mining dark comedy from messy, amateur criminality. Though Saulnier and his star/muse, Macon Blair, weren’t established names by any means, the film arrived in theaters with every possible advantage: It was a sensation at Cannes, where it won the FIPRESCI prize at Director’s Fortnight and got snapped up by Radius-TWC, the division of The Weinstein Company. It spent the better part of a year touring the festival circuit, including TIFF ’13, where it was a premier buzz magnet among my colleagues. And reviews were stellar when it finally came out in late April: 95 percent on Rotten Tomatoes, a 77 Metacritic score. According to Box Office Mojo, Blue Ruin grossed $32,608 on seven screens on opening weekend, which averages out to a relatively anemic $4,658 per screen. To date, it’s made about $250,000. Does that mean it’s a box-office letdown? A few years ago, the answer would be an unequivocal “yes.” But Radius-TWC released Blue Ruin day-and-date, and it’s entirely possible that it made a quiet fortune in digital rentals from interested parties from Albany to Walla Walla who couldn’t make it out to the seven theaters premièring the movie. (Not to mention those who lived right around the block, but chose to watch it at home anyway.) After opening weekend, the Radius-TWC Facebook trumpeted the fact that Blue Ruin “brought its vengeance down on the iTunes chart… where it landed in the Top 10, beating out films like The Hunger Games and Gravity.” That certainly sounds lucrative, but what does an iTunes Top 10 appearance mean in terms of actual dollars and cents? A lot? A little? More than such a film could have ever made in the bad old days when it would be released in theaters only? Or less? We don’t know, and we aren’t likely to know any time soon, despite the efforts of some indie leaders like Cinetic Media’s John Sloss, the veteran entertainment lawyer and sales agent, who co-founded the digital distribution company FilmBuff, and has argued vociferously in favor of VOD transparency. Sloss has been responsible for what little data we have on VOD numbers, which he prefers to see reflected in “multi-screen gross,” a figure that combines the theatrical and VOD numbers. The three examples provided here—Escape From Tomorrow, Man Of Tai Chi, and Spark: A Burning Man Story—are too paltry a sample size from which to draw any conclusions, but the VOD numbers for the Keanu Reeves kung-fu movie Man Of Tai Chi, which are 15 times the theatrical take, show a staggering potential. But again: Does that mean that independent genre films thrive on VOD? Or does Reeves’ star power account for the disparity? Currently, we can only speculate. 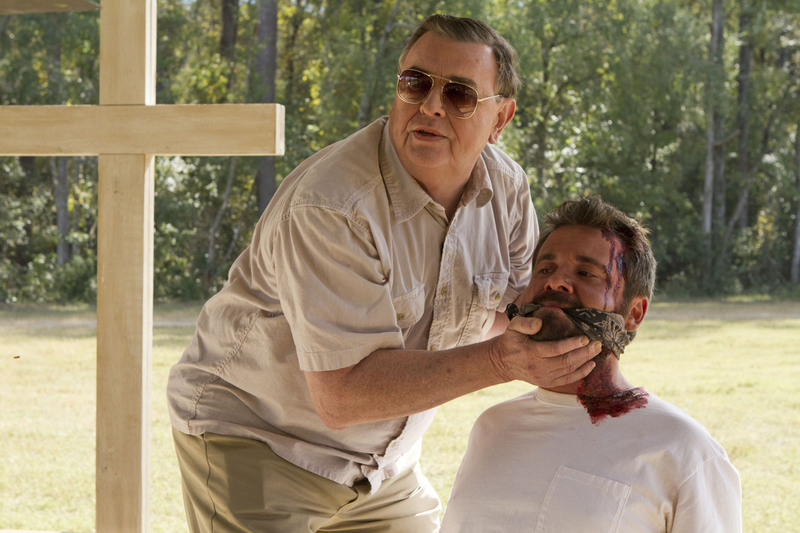 This weekend, Ti West’s The Sacrament comes out in limited release after spending a month on VOD. On the strength of films like The House Of The Devil and The Innkeepers, West is one of the biggest names in indie horror, and the day The Sacrament was released on VOD, the film was a trending topic on Twitter. That indicates some wide base of support, but I’d guess the film opens well short of Blue Ruin numbers in theaters, given the month-long drain of potential viewers and the fact that theatrical releases for indie genre films seem increasingly nominal. The $100,000 total that the found-footage anthology V/H/S collected in theaters doesn’t make a compelling argument for a sequel, nor does the pitiful $21,800 collected by the ABCs Of Death anthology, but sequels to both were turned around in a hurry. The company releasing The Sacrament and the V/H/S movies, Magnolia Pictures, has spearheaded the move toward day-and-date and day-before-date releases, overcoming strong resistance from theater owners by snapping up Landmark Theatres, the country’s largest arthouse chain, and forcing other independent theaters to fall in line. Independent filmmakers have been going on barnstorming tours to eke out a little more money by making ordinary shows into special-appearance events; I did one last year with a bleary-eyed Shane Carruth, who in addition to self-distributing Upstream Color, was doing Q&As in New York for morning showings. As for the theaters, they’re having to improvise to make up for lost grosses, either by making the experience special (gourmet food, alcohol, special events, etc.) or by getting in on the distribution game themselves, as in the case of Drafthouse Films and Music Box Films. The sad irony for most independent theaters is that the digital projectors they spent so much money to install have become a symbol of their obsolescence. The decline in theatrical box-office generally—and indie genre films specifically—can be quantified, and there are people more qualified than I to study the trends more thoroughly. (Paging FiveThirtyEight.) But until we get the other side of the equation and understand precisely the degree to which viewers are migrating to VOD, any statements about the independent-film business can only be expressed in anecdotes and generalities. Distributors have compelling reasons to keep the numbers under wraps: Hiding failures is appealing, and hiding successes even more so, lest filmmakers seek their own piece of the action. For now, as these tectonic plates shift, all we can do is feel the ground moving under our feet. What we lack is a seismograph.